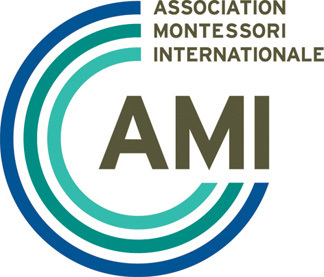 All AMI Montessori courses are delivered in a classroom based format. The preparation of the adult about to undertake work with young children demands a high degree of self-discipline and commitment, and a professional attitude. This preparation can only be achieved through immersion in the Montessori theory under the supervision of experienced lecturers. Furthermore, the special materials to be used with the children in a Montessori class require individual training and supervised practice—as each piece of apparatus has a function in the total scheme of the Montessori Prepared Environment. These fundamental aspects cannot be covered in sufficient depth by distance learning. Montessori training is a process of re-orientation where students begin to discover for themselves the profound truths underlying the Montessori approach. The course programme includes lectures, seminars and demonstrations on Montessori philosophy, child development and the Montessori materials. Each course also includes significant components of observation, supervised practice with the materials, material making and teaching practice. Students prepare an album which details the purpose, use and presentation of each piece of material. In the words of Dr Montessori the teacher ‘must give her lesson, plant the seed and then disappear; observing and waiting’ (The Call of Education, Vol. 11, no. IV, December, 1925). This apparently simple proverb continues to be a piece of worthwhile advice and a source of inspiration. It is at the core of the role of the Montessori teacher. An interesting read about the importance of Montessori training as the 'preparation of the spirit' (Maria Montessori, The Absorbent Mind), as opposed to online learning or getting copies of albums, can be found here.